It certainly did not take long for the first marijuana focused headlines to come out of Annapolis. The legislature has only been in session for a couple of weeks, and there are already two prospective pot laws generating chatter among state law makers. The first being a proposal to legalize, tax and regulate the drug similar to what Colorado and Washington state have already done. A democratic state senator from Montgomery County and a democratic delegate from Baltimore City have co-sponsored the proposal. 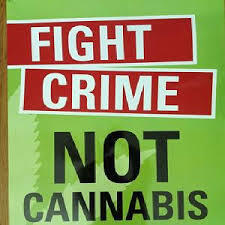 The proposed law is entitled The Marijuana Control Act of 2014, and one of its main goals is to take money out of the hands of gangs and drug dealers and channel this revenue into public causes. 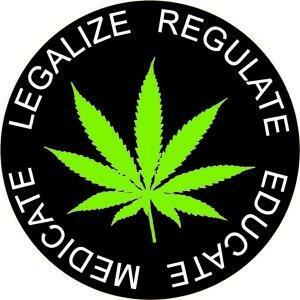 Tax money from the legal sale of marijuana would be earmarked for school construction, drug education, and drug and alcohol treatment programs. In its current form the Marijuana Control Act would allow adults 21 and older to possess up to an ounce of pot for their own personal use, and also allow growing up to six plants within the home. Smoking in public would still be illegal, as would driving under the influence, and unauthorized sale or distribution. This type of legislation would have been called radical just years ago, but with two states already selling retail marijuana, and twenty others with functional medical use programs up and running it’s far from radical. Maryland is one of the national leaders in per capita marijuana arrests, yet according to recent polls over 50 percent of its residents feel the drug should be legal. The problem does not seem to be public support, but rather support from the general assembly and governor O’Malley. The governor has already voiced his opinion on the subject, and is not likely to sign a legalization bill. O’Malley has stated that he would consider a decriminalization law, which would make pot possession only punishable by a fine. Decriminalization was proposed last year by a state senator from Baltimore County and will likely make another appearance in this year’s session. But supporters of the Marijuana Control Act are of the belief that decriminalization would fall short of their main goal of cutting out a major source of income for drug dealers and gangs. Decriminalizing pot would in all likelihood result in more illegal income for street dealers, while shutting state and local governments out of millions of potential tax revenue dollars. While decriminalization seems like a step in the right direction, we would tend to agree with that it falls short of legislation that would benefit the state of Maryland as a whole. Pot smokers would no longer be at risk of incarceration or incurring a criminal conviction, but the court systems would still remain flooded with marijuana cases. The district court would probably have to create a civil infraction docket solely for marijuana possession cases, and dealers would continue to rake in under the table profits for selling pot. The last thing we need now is another inept piece of legislation like the medical marijuana law that only exists on paper. Proponents of the Marijuana Control Act should remain steadfast in their fight for legalization, because it is likely to become a reality within the next five years. Benjamin Herbst is a marijuana possession lawyer who handles all drug crimes in Maryland state and federal court. 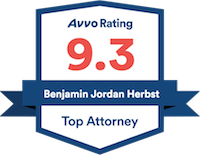 Contact Benjamin for a free consultation about your case.